October 31, 2018 … Anaheim, California … Chance Theater, Anaheim’s official resident theater company, is delighted to introduce Jane Austen’s Emma: The Musical to Orange County for the first time as part of our 2018 Holiday Literature Series! Award-winning journalist and producer of the New York City based podcast Democracy Now Amy Goodman spoke to a crowd of more than 500 people at Soka University in Aliso Viejo this past week. Timothy Perry, member of the non-partisan American Constitution Society, reminds voters of the importance of voting in local, “down-ballot” races. PREVIEW: Ensemble Galilei debuts a new work in O.C. that resulted from performing for recovering veterans at Walter Reed. San Clemente, CA – Casa Romantica Cultural Center and Gardens, a nonprofit southern California cultural center, expands the boundaries of its Casa Classic series this autumn with a performance by the Redwood Tango Ensemble. 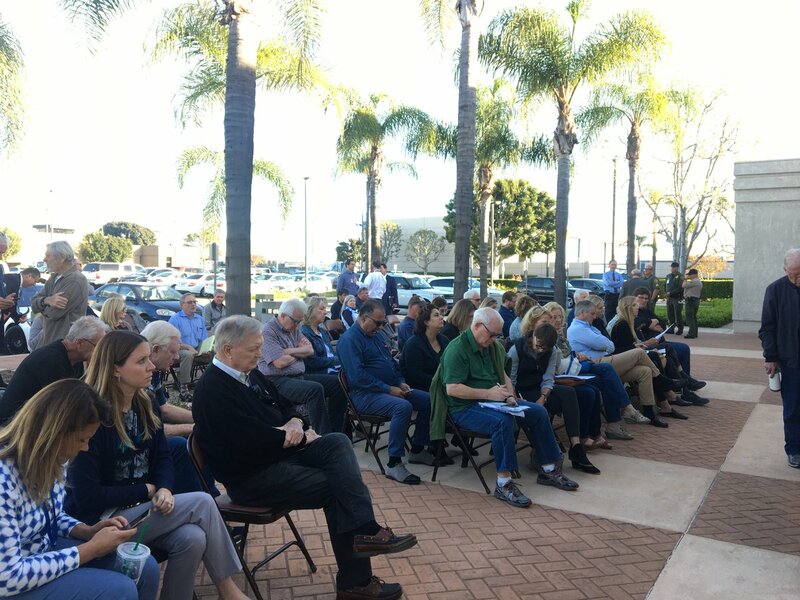 Tim Stoaks, candidate for Newport Beach City Council argues that it is time to restore ethics and transparency to Newport Beach’s city government.